Kalikund Steel & Engineering Company (KSEC) is a highly acclaimed exporter and supplier of Carbon Steel A105 Round Bars that are being sourced by using superior quality of raw material. These Carbon Steel A105 Rods ensures to offer toughness of highest quality of industry standard products. CS A105 is very much acceptable in several industries because of its greater potency and strength. Our A105 Bars find application in chemical, power and engineering industries. Designed by means of having an aid of our engineering superiority, these A105 Rods are widely used for an ideal finish, easy installation, long-lasting performance, and resistant to corrosion. Our Carbon Steel A105 Bars are also extensively used in pumps, petrochemicals, paper industries, chemicals, sugar mills & distilleries, fats & fertilizers, cement industries, oil & natural gas organization, ship builders, etc. We offer these bars in different sizes and shapes as per requirements given by our esteemed clients that are being designed as per the national and international standard quality of raw materials. It can also be offered in customized length sizes and shapes, and are available at market leading prices. Our Carbon Steel 1.0460 round bars are packaged to ensure that there is no damage during transit. In case of exports, standard export packaging is done in wooden cases. 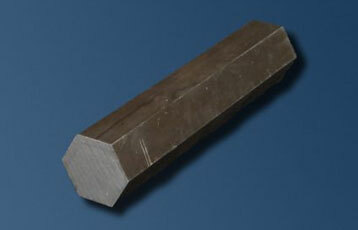 All Carbon Steel K03504 bar are marked with Grade, Lot No, Size and our trade mark. We can also make custom marking on our products on Speical request from Purchaser. 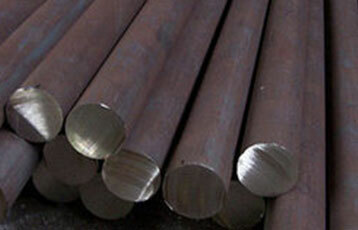 At Kalikund Steel, all Carbon Steel A105 round bars, Carbon Steel A105 bright bars and Carbon Steel A105 hex bars are subject to strict inspection at each stage starting from material purchasing to product dispatch. They are visually examined for conformity to ASTM, ASME, DIN, EN, and JIS codes and standards. We can also appoint official certified Inspection Agencies upon request of our clients so that they can witness the material reports, dimensions and quality conformity of products. We supply Carbon A105 Round Bars with following details like Mill Test Certificate as per EN 10204 3.1, PMI Testing, Test Reports from NABL Approved Laboratories, 3.2 Certification by Third Party Inspection Agencies, Ultrasonic Test Reports, X-Ray Reports. 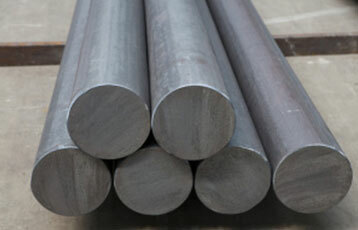 Our supplied Carbon Steel A1053 round bars also comply with NACE MR 0175 / 0103.